Caring for someone with Alzheimer’s or dementia is a drain on family finances as well as being physically and emotionally challenging. 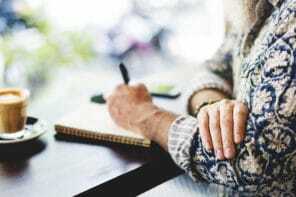 In this article from our friends at The Dollar Stretcher, they interview a financial advisor for tips on how to plan ahead for the financial issues that come up when a family member has Alzheimer’s or dementia. What financial issues do Alzheimer’s families face? 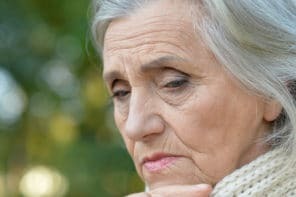 According to the National Institute on Aging, “as many as 5 million Americans age 65 and older may have Alzheimer’s disease.” Alzheimer’s is a chronic disease that requires care for the patient. We wanted to know what financial issues families that included an Alzheimer’s patient needed to address. To help us answer them, we contacted Roger Wohlner. Roger is an experienced financial adviser based in Arlington Heights, IL. In addition, Roger contributes to his own popular finance blog, The Chicago Financial Planner. Q: What should a family do financially while the patient is still capable of making decisions? Mr. Wohlner’s answer: If you haven’t done this, I suggest a family meeting between the patient and adult children (or other relatives) to gain an understanding of their wishes in terms of the care they will receive, their financial resources available for that care, and other related issues. This is a good time to make arrangements such as appointing someone to be legally responsible for their financial affairs once they are not able to manage them on their own. Estate planning and other related issues should be updated and any changes made at this time. Meeting with an attorney well-versed in elder care and related issues is a good move as well. Q: If the patient is already incapable of making decisions, what can the family do to handle financial affairs? Mr. Wohlner’s answer: If things have gotten to this point, it is best to consult with an attorney versed in this area. The rules can get complex and vary by state. Q: Is there a way to estimate the lifetime cost of caring for an Alzheimer’s patient? Mr. Wohlner’s answer: This is tough and will depend upon a number of factors including where you live. A study that I saw quoted on the AARP site a few years ago indicated that the average annual cost to care for an Alzheimer’s patient was about $56,000 per year. This can run much higher if the patient is in a care facility and will vary based upon the type of facility. The study also indicated that a substantial portion of the cost of care is often born by the caregivers. Q: What’s the most important thing financially for a family with an Alzheimer’s patient? Mr. Wohlner’s answer: If time and circumstances permit, planning for the cost in the early stages of the disease is important. Q: What about retirement accounts and pensions owned by the patient? What happens to them? Mr. Wohlner’s answer: They can generally be tapped to care for the patient. If this is Early Onset Alzheimer’s, the penalties for early withdrawal may be waived. 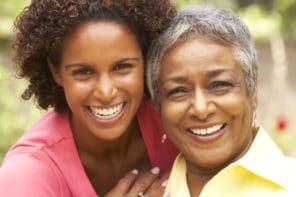 A spouse or family member will generally need to have a power of attorney or similar designation to make these decisions. Again it is wise to consult an attorney who specializes in this area. Q: Is it permissible to move assets from the patient to make them eligible for aid? Mr. Wohlner’s answer: I’m not an attorney, but it is my understanding there are look-back rules that preclude the movement of assets from the patient’s account in order to make them financially eligible for aid. As I understand them, these rules are strict and the penalties can be pretty severe. If this is an issue that you are considering, you would be well-advised to consult with an elder-law attorney in your area (or the patients if they are different) to gain an understanding of this complex area. I also have very mixed feelings in this issue. If the patient has substantial assets, is it right to move those assets to relatives and relegate the patient to care that can be paid for via Medicaid that might be inferior to what their assets could support? Q: Where can a family go to find help in paying those costs? Mr. Wohlner’s answer: There are a number of sources that include Medicare, retirement benefits, employee benefits and health insurance (generally for younger patients) and government assistance are all potential resources as well as other personal financial resources of the patient. Check out the Alzheimer’s Association. The Dollar Stretcher has been providing time and money saving information to readers since 1996. For more articles on Baby Boomers, caregiving, and retirement, check out this TDS article on Keeping Financial Records Safe as well as the TDS Baby Boomer library. And sign up for the TDS “After 50 Finances” newsletter too!